As a matter of policy and law, California has long prohibited noncompetition agreements designed by employers to prevent their former employees from working for a competitor. Edwards v. Arthur Anderson, 44 Cal. 4th 937 (2008). But companies with headquarters outside California (so-called “foreign employers”), in states where noncompetes are legal, have sought to bind their California employees to such agreements using choice of law and forum selection clauses that force their California employees to challenge the validity of their employment contracts in the company’s home state, under that state’s laws, and often with little hope of success. In response, California employees have frequently filed preemptory lawsuits in California against their former foreign employers, asking courts to ignore the forum selection and choice of law clauses in their noncompetition agreements on grounds that they violate California’s greater public interest against enforcing noncompetition restrictions. In general, California employees were finding these cases increasingly difficult to win, and California courts were increasingly dismissing the cases in favor of requiring the employees to litigate in their former employer’s home state and/or under the foreign state’s laws. The California Legislature recently acted to change this trend by adopting Labor Code section 925, which went into effect on January 1, 2017. The new law, which applies to employment contracts that are “entered into, modified, or extended” on or after the law’s effective date, prohibits foreign employers from forcing California employees to sign agreements that require them to litigate employment claims outside California, or that deprive the employees of the protections of California law. Section 925 also provides that employees who are forced to litigate outside California may be awarded their attorneys’ fees. The law applies to cases brought in both litigation and arbitration, but exempts contracts formed where the employee is represented by a lawyer. Section 925 is still quite new, and to date no California state court has published an opinion involving it. A few recent federal court decisions mention it, but those cases involved employment agreements entered into before January 1, 2017, with no arguments raised about the agreements having been “modified or extended” after that date. For example, see Scales v. Badger Daylighting Corp., 2017 WL 2379933 (E.D. Cal. 2017). In support of their attempts to invalidate their older agreements, the California employees argued that Section 925, while not directly applicable, demonstrates California’s overriding public policy against enforcement of noncompetition agreements. The courts, however, were generally unreceptive to such policy arguments for contracts signed before the law took effect. Despite the lack of judicial guidance thus far on Section 925, the law clearly is a significant change for foreign employers with California employees. Foreign employers are no longer able to require California employees to agree to litigate claims outside California or under a foreign state’s laws. These foreign employers will also face important questions. For example, an issue of contention will be whether older agreements have been “modified or extended” after January 1, 2017. Similarly, it remains to be seen if employers might circumvent Section 925 by offering a small incentive or bonus to their California employees in exchange for their agreements to be bound by otherwise prohibited forum selection, choice of law, and noncompete clauses. 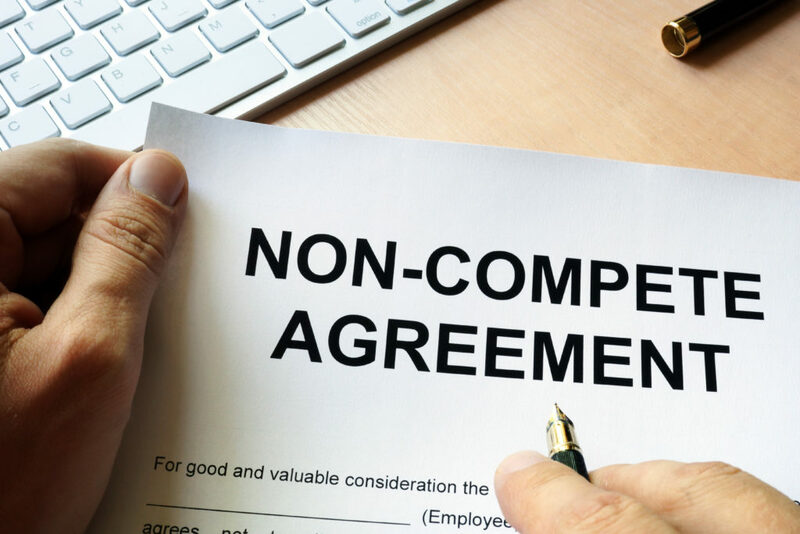 At Slater Law Group, we have broad experience negotiating and litigating a wide range of noncompete agreements from the perspective of both the employer and employee. We will be following developments on Section 925 closely to see how it impacts foreign employers and California-based employees. If you have questions about how Section 925 affects your business or are interested in having us review or structure an employee noncompete agreement, please give us a call.